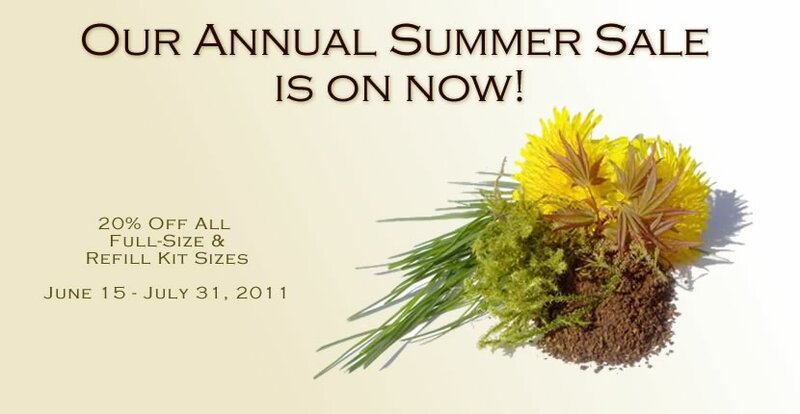 Our Annual Summer Sale is Here! Our Annual Summer Sale is Here! From Monday, June 14, 2010, until Sunday, July 18, 2010, all of our full-size minerals will be on sale at 20% off. This sale runs for such an extended amount of time as we want to make sure that everyone has a chance to order samples, test them out and still have enough time to order full-size jars or refill kits. Please make sure to stock up on your favorite Buff'd mineral products as once the sale is over our next sale is not until November! Sale ends midnight Sunday, July 18, 2010.